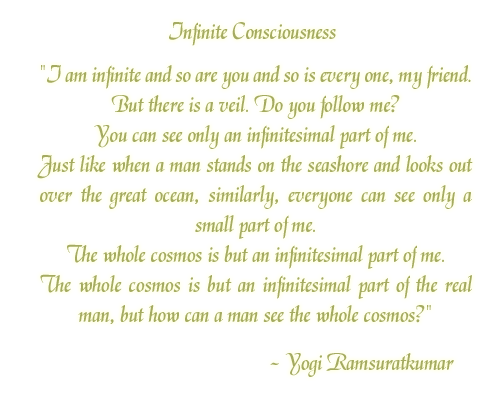 Welcome all, to www.yogiramsuratkumar.in by the Grace of our Beloved Bhagawan Yogi Ramsuratkumar, we have this opportunity ‘Now’ to be in His love and remembrance over ‘Here’ too. Before you start to explore further, we would like to share a word here with the viewers, regarding the purpose of this website. To be honest - It is a work of faith, of love for Him, of the wish and desire to share this love and feel ourselves contained in His Grace with the entire world. This website has been created as a dedication for 'Yogi Ramsuratkumar' and for those who have genuinely felt touched by the alchemical effect of the Master’s Benediction in their lives. Its purpose is entirely meant to inspire, invoke faith and to bring about a healing transformation into the lives of all, and even for those who understand what ‘Yogi Ramsuratkumar’ means to them. In this world, filled with so much misery and distress, we have to remember the Name of God, to remember that the purpose of our lives is not merely to wither away, bound in worry for the mortal coils of this body. Something has to take us beyond, it has to inspire us and lead us into the Unknown. To sweep us off our feet and to show us that there is a Reality beyond this physical reality that we are so obsessed with. Something has to show us the way, the Truth of our Existence. 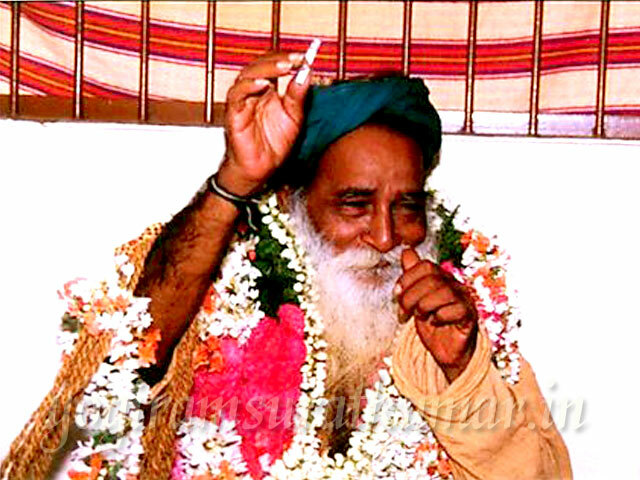 In Truth, only the Satguru can truly guide us and none else. ‘Here’ is something that is meant to remind us of the importance of the Satguru in our lives so that we may not forget it so easily and learn to recognize the value of His presence. 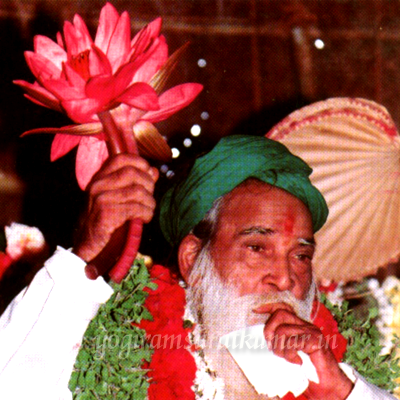 This website’s purpose is exactly meant to suffice that need of remembrance of Guru's love. There is so much information in this world, there are so many things, good and bad, but this is for Him. Our beloved Bhagawan ‘ Yogi Ramsuratkumar’. Since everything is presented here not for any personal gains or commercial use whatsoever and more for providing inspiration to all, we would like to thank all the respective authors, poets, writers, publishers, saints, and organizations and their extremely noble gestures for allowing such to manifest, in benefitting and showing good faith for uplifting of human consciousness. We don’t own anything here, let alone the copyrights and patents. That belongs to their respective owners, which is self evident here. This is entirely a dedication meant to benefit all in good faith and no personal agenda or motive. Free from all kinds of manipulative schemas. Offering this work at the Holy Feet of our Beloved Bhagawan ‘Yogi Ramsuratkumar’ with utmost reverence and humbleness. Kindly uphold the work of God’s Faith in our hearts. Thank you all. This beggar learnt at the feet of Swami Ramdas the Divine Name of Rama, and beg, beg all of you not to forget the divine name Rama. Whatever you do, wherever you are, be like Anjaneya -Maruthi thinking of Rama and doing your actions in this world. Live in the world and the problems will be there. If we are remembering the Divine name, we are psychologically sound. May be, we may feel a little some of the problems. Even then the intensity with which we feel if we don't have faith in God is much more than a man of faith - a man who remembers the name of Rama. So this beggar is always begging, begging for food, begging for clothes, begging that you should compose songs on this beggar, build a house for me - a cottage for me - this thing - that thing - so many things. But this beggar will beg of you this also, and you are always giving what this beggar has begged. So this beggar begs please don't forget the name of God. This Divine name has been always of great help to all in the world. You read Kabir, Tulsi, Sur, Appar Swamy, Manickavasaga Swamy - how they emphasized Namasivaya. Don't forget it- this is your heart- this is your soul. Whether it be Om Namasivaya or Om Namo Narayana whether Rama, Siva or Krishna whatever name you choose, whatever form you choose doesn't matter.But remember the Lord with any name, with any form of your choice. Just as when there is heavy rainfall, we take an umbrella, and go on doing our work in the factory, in the field, wherever we go for marketing and catching hold of the umbrella we go though the rain is falling there. But still we work-still we work-do our work. Similarly we have got so many problems all around. This divine name is just like an umbrella in the heavy rainfall. Catch hold of the divine name and go on doing your work in the world. This beggar begs of you and this beggar has received all he has begged of you. So I think none of you will shrink away, when this beggar begs of you, don't forget the divine name. This beggar prays to his father to bless you all who have come here. My Lord Rama blesses you- My Father blesses you. Arunachalaswara blesses you. It doesn't matter to me what name it is. All the blessings of my father for all of you! Well, that is the end. That is all.